William WARNER (1594 – 1648) may not have been Alex’s 11th Great Grandfather; one of 4,096 in this generation of the Miller line. William Warner was born in 20 Oct 1594 in Boxted, Essex, England. His parents were Samuel WARNER and Mary DOWNING. He married Abigail BAKER in 1611. William came to America with his three children and was in Ipswich, Mass. before 1637. It is said by some Warner genealogists that they sailed on the ship,”Increase” in 1635, but he does not appear on the passenger list. William died in 1648 in Ipswich Mass and is interred at High Street Cemetery, Ipswich, Essex Co., Mass. Abigail Baker was born in 1590 in Boxted, Essex, England. Her parents were John BAKER and [__?__]. It appears as though Abigail remained behind to nurse her mother when her husband left Boxted in 1635 on the “Susan and Ellen.” The mother did not accompany the family to America. It is likely that Abigail died prior to the rest of the family leaving for the New World. 10 MAR 1654/55 17 May 1692 Hadley, Hampshire, Mass. 2 Jun 1641 in Ipswich Mass.. 9 Sep 1688 in Ipswich, Mass. 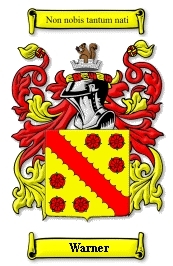 It is said by some Warner genealogists William WARNER and three children sailed on the ship,”Increase” I just see William’s son John listed , perhaps as a servant of Matthew Marvyn. 56 Warner Jo, 20, listed below Marvyns (John from Boxted, Essex, bound for Ipswich). William Warner, a weaver, settled in Ipswich, Mass. in 1637 with his two sons, John and Daniel, and his daughter, Abigail. Where they lived in Boxted is in some doubt. The name given to their house was “Merrylees Cottage” which is not traceable. After his arrival in Massachusetts, Thomas Wells was granted five acres of meadowland in the name of his father-in-law, William Warner, at Ipswich, Mass. 2 May 1638 – William was admitted a freeman. Any man entering a colony or becoming a member the church, was not free. He was not forced to work, but his movements were carefully observed to see if they followed the Puritanical ideal. After this probationary period, he became a “freeman.” Men then took the Oath of a Freeman where they vowed to defend the Commonwealth and not to overthrow the government. 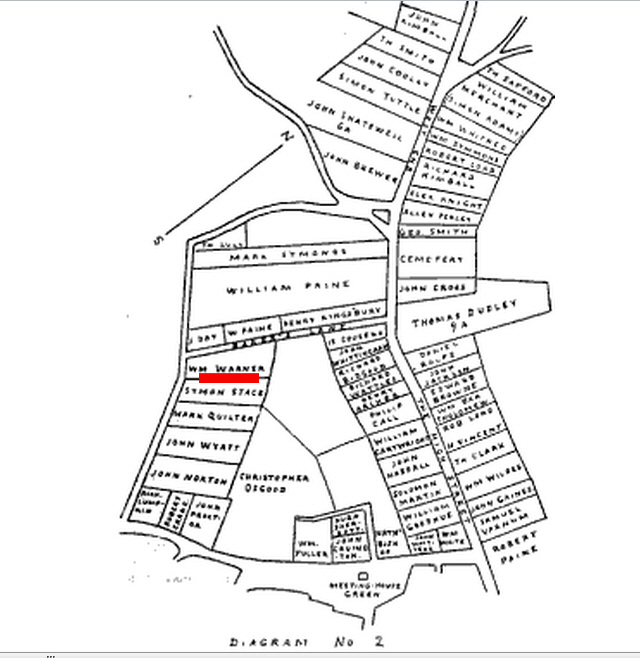 1637 – The town of Ipswich grants William one house lot, one acre, more or less, on the Mill Street., bounded on the east by another house lot not yet granted (It was later occupied by his brother-in-law Lumpkin),on the N.E. by the highway leading from the mill Street. to the High St., butting on the Mill St. at the S.W. end , at the north end butting upon the swamp. Also a planting lot of six acres more or less, meadow and upland, and a farm of ninety and seven acres more or less, also a parcel of meadow, lying in the west meadows, being fourteen acres more or less.” The town of Ipswich was established on August 5, 1634, from common land called Agawam. The acre lot on the corner of the Lane, known as Baker’s Lane, was granted to Wm. Warner, 1636. Edward Chapman owned in 1667 and sold Edward Lummus “my dwelling house wherein sd Lummus dwells” with barn and one and one quarter acres, “the Street called Mill St. toward southwest, and the house and land of widow Stacy southeast,” March 2. 1667 (Ips. Deeds 5: 190). Edward Lomas conveyed to his son, Jonathan, his homestead, house, barn and an acre of land, and twelve acres purchased of Mr. Cogswell, May 25, 1682 (Ips. Deeds 4: 466). His will (Ips. Deeds 4: 476) states that the twelve acres were on the opposite side of the Street. Jonathan Lumas sold Daniel Rogers, schoolmaster, “the house in which he now dwells” with two .acres, Thos. 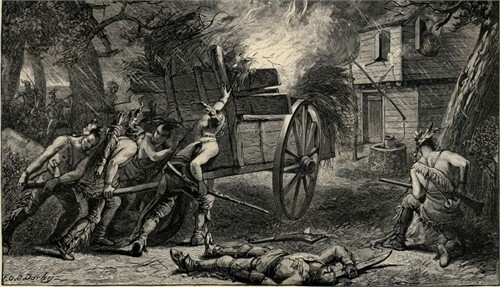 Wait’s homestead southeast, June 18,1712 (25:1). But among the large number of those who for the sake of civil and religious freedom came to this country in the great period of emigration, between the years 1620 and 1640, were William Warner of Ipswich, England, and his family including three children, who with his pastor settled in 1637 in Ipswich—one of the foremost towns in the colony in the intelligence and worth of character and thrift of its earlier inhabitants, as it was one of the oldest in settlement. 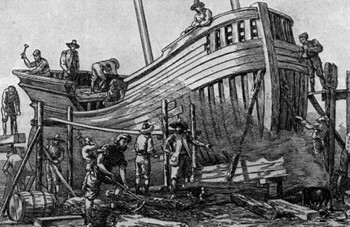 A few years after its founding in 1633, the historian Johnson recorded the fact that “the peopling of this town is by men of good rank and quality, many of them having the yearly revenue of large lands in England before they came to this wilderness.” And in 1638 Cotton Mather wrote concerning it: “Here was a renowned church consisting mostly of such illuminated Christians, that their pastors, in the exercise of their ministry might think that they had to do not so much with disciples as judges.” Of this church William Warner was a member, he died before the year 1648. Abigail’s sister Sarah Baker was born 1593 in Boxted, Essex, England. Sarah married Richard Lumpkin on 20 Oct 1614 at St. Peter’s church by George Phillips in Boxted, Essex, England. Sarah died Jul 1663 in Cambridge, Middlesex, Massachusetts. Richard Lumpkin was christened 16 Dec 1582 in Boxted, Essex, England. He died Nov 1642 in Ipswich, Essex, Massachusetts. Sarah and Richard also immigrated in 1637 from Boxted. Richard Lumpkin became a farmer and lived at Parsonage Farm, Church Street. Sarah and Richard settled in Ipswich, Mass. at the same time as William Warner. Relatives of Sarah (Baker) Lumpkin settled in Charlestown. Accompanying the Lumpkins was William Bartholomew, a farm labourer, married to Ann Stone. There is also a record showing that William Warner and William Bartholomew were appointed to lay out land granted to Richard Lumpkin and William Whittered. His family were spoken of as ‘people of consideration’. It is probable that Richard Lumpkin took the house lot next to the Warners and that he farmed the 97 acres of Warner’s land. He died in 1642 and his widow, Sarah, married Simon Stone of Watertown in 1654. On Nov 10, 1654 Sarah Stone, née Baker ex Lumpkin, deeded to Daniel Warner, son of William Warner, her house lot and 158 acres of land in Ipswich. Sarah went to live with Simon Stone in Watertown but they both returned to live in Ipswich. In her will of 25 Mar 1663, “Sarah Stone wife of Simon Stone of Watertowne … & the relict of Richard Lumkin deceased. sometime of Boxstead in the County of Essex in England & last of all Ipswich in New England” ordered that the residue of her estate “be equally divided between ny kinsmen John Warner, Daniel Warner & Thomas Wells” & made these 3 men her executors. Given this close connection between Sarah (Baker) (Lumpkin) Stone & the children of William Warner, & the baptism of 2 of the 3 children of William Warner at Boxted, most writers have proposed that William Warner married a sister of Sarah, but no further evidence has emerged which would confirm that this is the precise relation between the ttwo families. Abigail’s husband Deacon Thomas Wells was born 11 Dec 1605 Colchester, England. His parents were Thomas WELLS and Elizabeth KEMBALL. Thomas died 26 Oct 1666 Ipswich, Essex, Mass. John’s wife Priscilla Symonds was born 1625 in Birch Great, Essex, England. Her parents were Mark SYMONDS and Joanna [__?__]. Priscilla died 1688 Hadley, Hampshire, Mass. John and Priscilla’s children were Joseph Warner (1657), Mehitable Warner (1659), Daniel Warner (1661), Eleazar Warner (1662), and Priscilla Warner Cummings (married Thomas Cummings). John removed from Ipswich to Brookfield in 1670, was one of three men there who took the Indian deed for the town of Brookfield, December 19, 1673, and was one of the principal inhabitants there. When the town was destroyed by the Indians in 1675 he retreated with his younger children to Hadley, Massachusetts, whither Mark Warner, an elder son, and other children had gone to settle. He was probably one of the 70 villagers who sought refuge in his brother-in-law John Ayer’s tavern. For details see my post Siege of Brookfield. He probably died at the home of some of his children, 1692. On May 17, 1692, he gave his property to his sons, Mark, Nathaniel, and Eleazar. His property included the right of two commons in and land in a Hadley and Swampfield. He also gave them 3 beds, 3 coverlets, 3 pairs of sheets, a bolster, 6 pillows, 2 brass kettles, 3 skillets, a frying pan, an iron pot, a pair tongs, an iron peale, an iron trammel, a box of iron, 2 pewter platters, a pewter basin, 2 catechisms, 2 bibles, 6 sermon books, 2 woman’s coats, 2 waistcoats, a large apron, a silk handkerchief, a silk hood, a silk cap, and a hat. This entry was posted in 13th Generation, Immigrant - England, Line - Miller and tagged Ipswich - Pioneer, The Susan and Ellen 1635. Bookmark the permalink. I have searched the passenger lists for both the Increase and the Susan Ellin and did not find William Warner listed on either. John Warner was listed on the Increase. landed in Virginia in 1635. Probably not a connection as the age is off by around 20 yrs?. Yes, you probably found a different William Warner. There was very little interaction between the Viriginia and New England colonies in those days.